Take the art in your hands with one of the unique painted patterns of Bardo Art Works. Stylish, practical and comfortable bag for everything that you need. 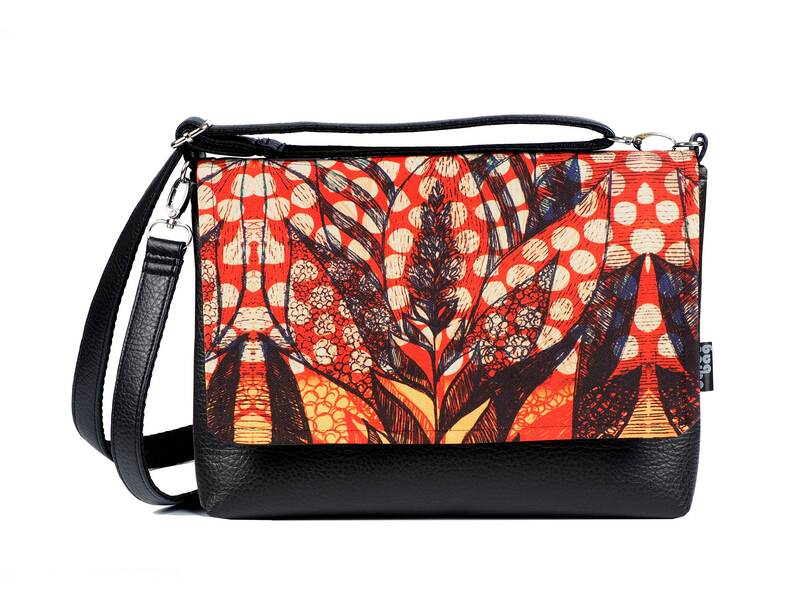 The highlight of the bag is the original hand painted Bardo design printed on resistant textile. The handles and the bottom of the bag are made of high quality vegan leather with high level of resistance. Inside the bag has a large pocket that holds up to 8" tablet and two small pockets for your phone and keys. ► Each Bardo item comes with one of my unique hand-painted artworks printed with a high quality sublimation technique on durable textile. My designs carry a spark of inspiration for your work-life and free time so let me bring color and joy into your daily routine. ► I create all of my items personally with remarkable precision and attention to detail. Please feel free to convo me with any questions and wishes. The bag is beautiful and easy to use. I love it very much! Thank you for your quick and careful delivery. I love the painting on the bag! Absolutely beautiful bag! So well made and I get compliments all the time! Perfect backpack for graduate school! Quelle belle réalisation !!! .Grand bravo à la créatrice et merci pour tout .. I accept payments only via Paypal. It's faster, easier and safer than most other payment options. If you do not have a Paypal account, you can still pay through Paypal with a credit card. I do accept REFUNDS and EXCHANGES! I'm always here for you and will do my best so you are happy with your piece! Convo me up to 10 days after receiving your order, if an item doesn't meet your expectations. I can refund the price of the product while shipping costs are usually non-refundable. I ship my products within 1-3 business days after payment is received. Items usually arrive much sooner than the above. I use Priority Shipping with tracking number to the address on your Etsy Account. If you wish your item to be delivered somewhere else, please convo me with your preferred address. Please, also note that Bardo Art Works is not responsible for any customs and duty fees if they apply. Bardo Bags are unique of its kind bags, handmade in Bulgaria. My designs are hand-painted artworks printed with a high quality sublimation technique on durable textile. They carry a spark of inspiration for your work-life and free time so let me bring color and joy into your daily routine.